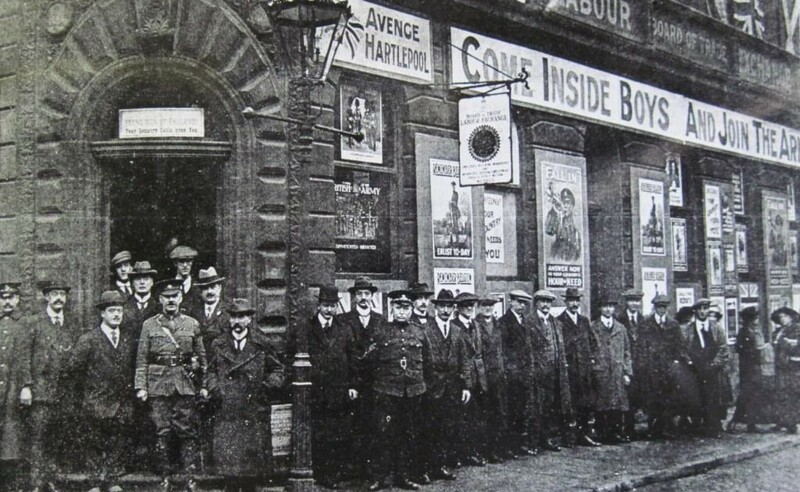 The men and women of Bradford, along with their cousins in other British towns and cities, made a distinguished contribution to the First World War. The many memorials around the Bradford District bear witness to the numerous losses but by weaving together many personal accounts this book tells the full story of Bradford at war – not just the experience of the trenches but also the impact the war had at home: the manufacture of khaki cloth; aircraft and machines tools; the massive munitions explosion; the emergence of women in the workforce and as crusaders for peace. Amply illustrated and impeccably researched, this book will appeal to anyone who is interested in the response of this great city to the Great War. 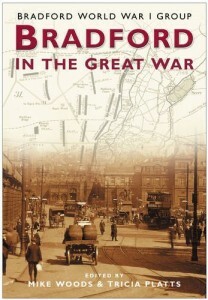 This book weaves together many personal accounts to tell the story of Bradford at war. by Bradford World War 1 Group (Author), Mike Woods Tricia Platts (Editor), available from the Bradford Mechanics Institute Library or from Amazon.